The gavel passed from one National Panhellenic Conference (NPC) organization to another with mutual respect and friendship on Oct. 24, 2015, in Irving, Texas. It is now my distinct honor to join the ranks of women who have preserved our freedom to form, expand and protect the sorority experience, which is the true essence of NPC. Sororities have come under the increasing scrutiny of the media, universities, colleges and communities where they are hosted. We are at a crossroads in terms of our future reputation, and some believe, perhaps, even the existence of the fraternal membership experience. With courage and conviction, my platform for the next two years, we will confront our current challenges together and build for the future. Creating leadership training opportunities that strengthen character and skills to empower our young women. Promoting sorority role models who have displayed courage and conviction. Recognizing the notable acts of our collegiate members. Partnering with the North-American Interfraternity Conference and other umbrella organizations to promote respect and appropriate behavior embraced by all sororities and fraternities. Exploring new ways to make our partnerships with university administrations even stronger. Defending the sorority experience when attacked. Making the positive case for sorority membership, whenever and wherever possible. It will take courage and conviction on my part and that of the entire NPC family to reestablish, but also reinforce, the positive relevance of sorority life. The issues we face cannot be resolved in a short period of time. We must continue to build on the foundation for change. In partnership with members of the NPC family, I will work collectively and collaboratively to ensure the preservation of the membership experience for generations of young women to follow. I am passionate about NPC, and together we will move from being successful toward being truly significant as the premier advocacy and support organization for the sorority experience. 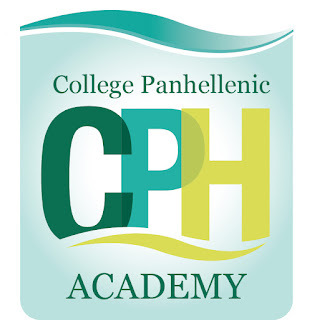 College Panhellenic Academy is a National Panhellenic Conference (NPC) program designed to equip College Panhellenic officers and advisors with the most up-to-date Panhellenic knowledge through hands-on training with NPC representatives. This program is designed for four College Panhellenic officers: Panhellenic president, Panhellenic officer responsible for recruitment, Panhellenic officer responsible for implementation of the judicial process and Panhellenic officer responsible for communications and public relations. College Panhellenic Academy takes place in conjunction with the North-American Interfraternity Conference’s IFC Academy and includes a jointly created curriculum track for fraternity/sorority advisors. This year, College Panhellenic Academy will be held Jan. 22-23, 2016, at the Crowne Plaza Indianapolis Downtown Union Station. Jennifer Piascik, an Alpha Gamma Delta at Westminster College, serves as her College Panhellenic's recruitment director. She had the opportunity to attend College Panhellenic Academy in January 2015. Why did you attend Academy? I attended with my Panhellenic Council President because of the huge recruitment shift that we had decided we wanted to make here at Westminster. We wanted to be able to talk to other College Panhellenics, advisors and presenters to get their opinions and input about how best to implement this change. How did attending academy empower you to use your voice to advance your sorority community? One speaker talked about the ‘squeaky wheel.’ At a school of about 1,300 undergraduates, those squeaky wheels are often loud. Being conscious of this concept, when we returned to campus we were prepared to address the squeaky wheels. We didn’t allow those that were set in their ways to stop us from getting out our message and making the necessary changes. Academy also instilled the idea of Panhellenic spirit within me. Being more panhellenically-minded is helping us to encourage and better each other as sorority women. 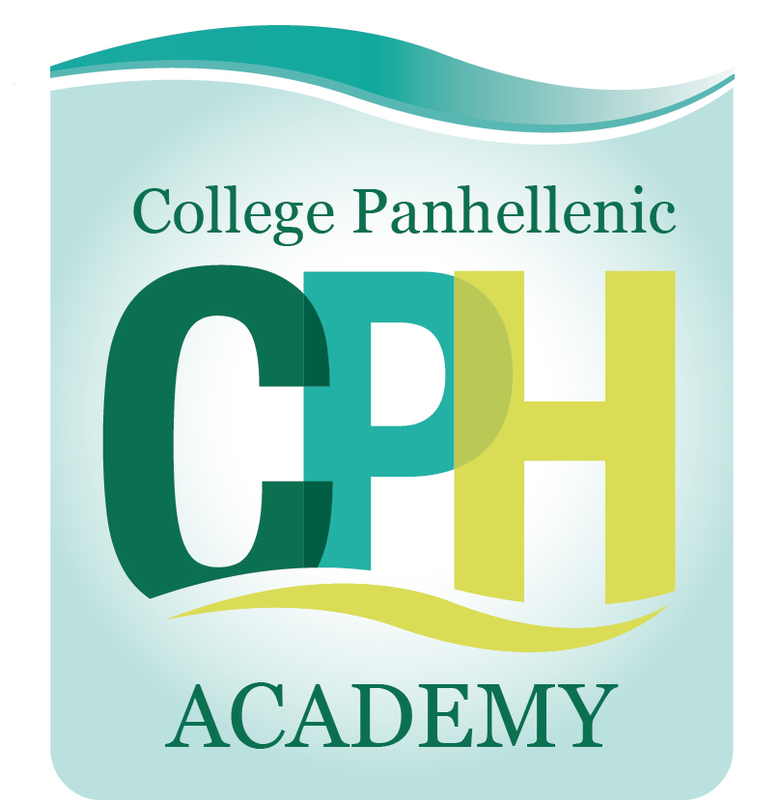 What was your favorite part of College Panhellenic Academy? My favorite part of attending Academy was meeting all of the other attendees. In the recruitment-based workshops, it was fascinating to meet women who were doing the same types of things I am doing. I also got to ask them questions and get their advice. Why would you encourage others to attend Academy? Academy really reminded me why I joined a sorority in the first place. It was amazing to see how fraternity and sorority life has affected the amazing women I met. I learned so much about not only my job as recruitment director, but about fraternity and sorority life as a whole, including the ways being a member of a Greek-letter organization can enrich my life.